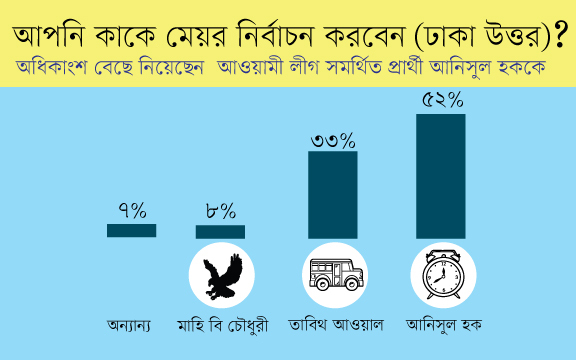 According to a new survey, jointly commissioned by Centre for Research and Information (CRI) and Suchinta Bangladesh, the Awami League backed mayor candidates take a significant lead over all other mayor aspirants in the upcoming city corporation election for the Dhaka City. Force n’ Focus Limited conducted this field survey commissioned by CRI and Suchinta. 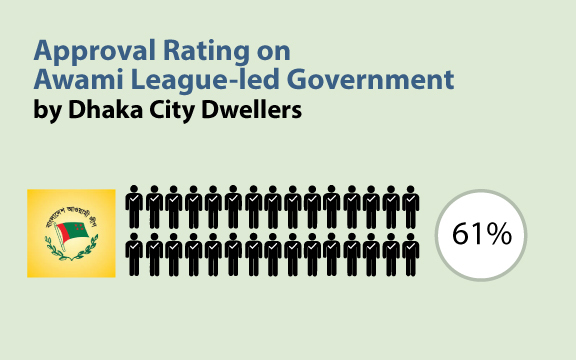 A total of 2280 voters (South) and 2160 voters (North) were selected with equal number of male and female respondents. The sample, which was drawn using random selection techniques, includes all Wards from City Corporation (CC) areas and is nationally representative. 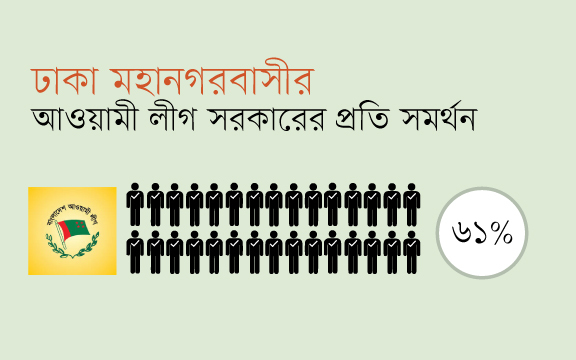 Respondents are randomly selected from different age, income, educational and occupational groups. The margin of error is ±2.1% at 95% confidence level. 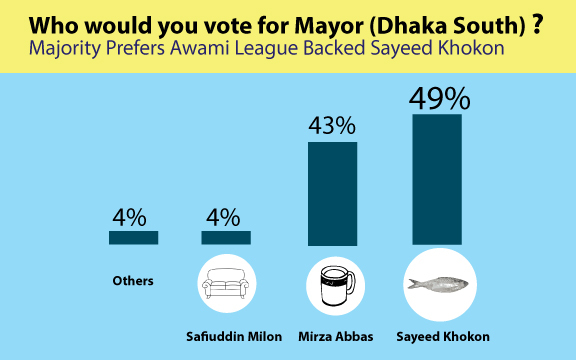 In Dhaka South, as many as 1125 (49%) respondents out of 2280 lent their support for pro Awami League candidate Sayeed Khokon against his opponent Mirza Abbas, while among 2160 respondents of Dhaka North, 1120 (51.9%) preferred Annisul Huq over Tabith Awal. 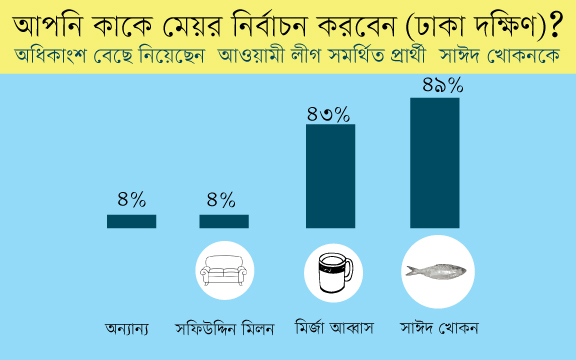 When it comes to national politics, sixty one percent (61%), an overwhelming majority, showed their approval on the Awami League-led Government for national development and ongoing progress, found the survey.